Do you miss the “Automatically put people I reply to” feature? 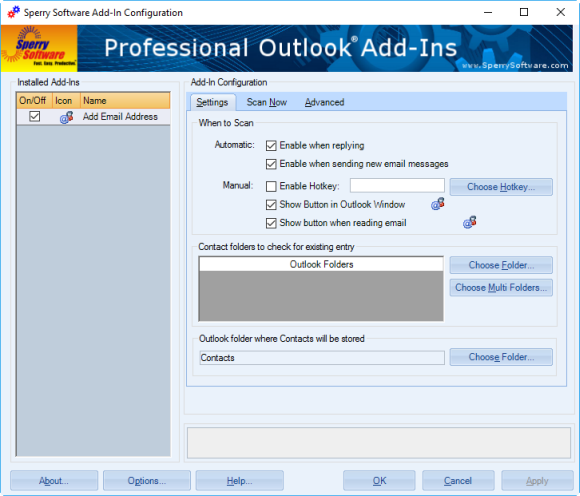 Are you tired of having to manually add email addresses into your Microsoft® Outlook® contacts? Now you can automatically add contacts when sending to or replying to email. Become more organized by setting up the add-in to show you each name it adds (in a grid, where you can check which people to add) or just have it automatically add contacts without any intervention by you. 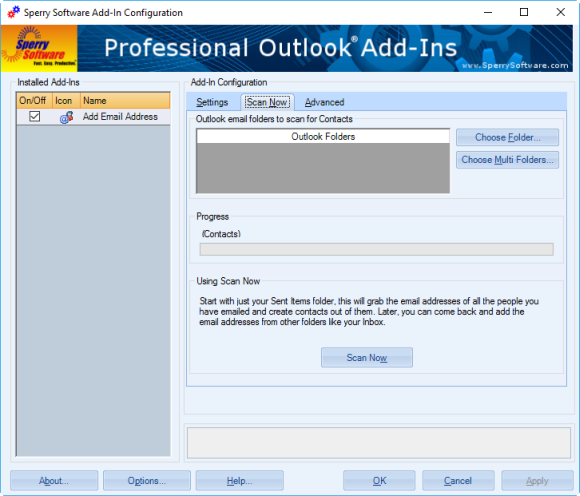 Not only can you add email addresses to any contact folder (not just your default Contacts folder), but also prevent duplicate entries by specifying folders that already have contacts in them. Buy it now! Note: You might already have a limited form of this feature. To see, you can always right click the From address while reading any email; one of the choices in the drop down menu is "Add To Contacts". 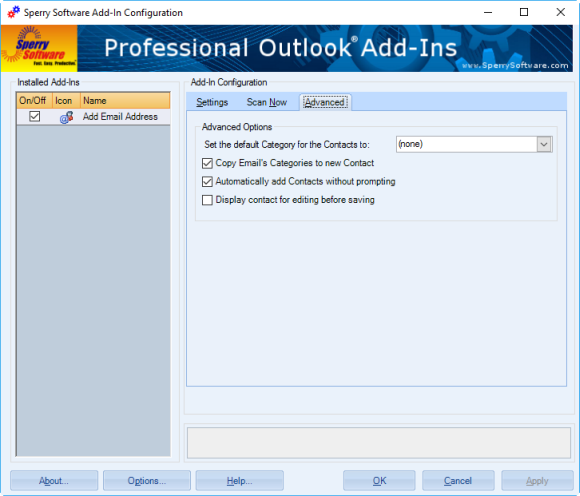 See this article for more information on how to add email addresses as contacts in Outlook. Don't forget: with the ability to scan all your previous emails, you can quickly fill up your Outlook contact folders with the people most important to you. Buy your copy today! Send out your newsletters, press releases and other announcements to individual recipients. Individually addressing emails allows your email to make it through more spam filters and raises response rates.